Two employees of notorious quack doctor Mugo wa Wairimu have been arraigned in a Nairobi Court and charged with several counts of operating illegally. 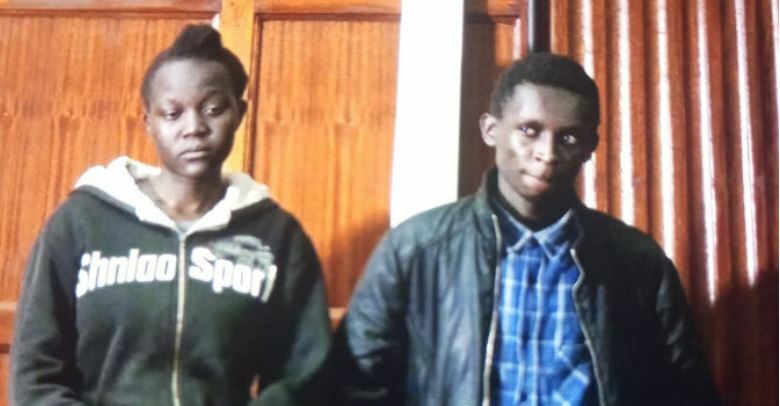 The two suspects; Victor Gathiru Kamunya, 22, and 19-year-old Risper Auma Ogony were charged with operating a business while not registered as a pharmacist by the Pharmacy and Poisons Board, operating a medical laboratory without registration and license by the Kenya Medical Laboratory Technicians and Technologists Board, practicing as unregistered and unlicensed medical practitioners, and practicing nursing and using the “Doctor” title without qualification. They denied all five charges. Victor Gathiru, who is a final year medical student at Kenya Medical Training College, was admitted at Mugo wa Wairimu’s clinic – Millan Health International Limited in Kayole -as an intern and is set to graduate in December 2018. While Ms Auma is a first year student of Procurement Management and Supplies at Kiriri Women’s University in Githurai Nairobi. She is said to have been working part-time at the clinic in a bid to pay school fees. Presiding Magistrate Martha Mutuku noted that the case was sensitive and ordered the detention of the two for seven days pending a pre-bail report which will determine their release.